The administrators of a Bolton-based estate agents, who saved over 100 jobs at the firm via a pre-pack rescue deal, have instructed CAPA to conduct a property audit across the business. Julien Irving and Andrew Poxon of Leonard Curtis Business Rescue & Recovery were appointed joint administrators of Miller Metcalfe in August 2018. Miller Metcalfe operates predominantly as a real estate agents from various locations across north Manchester, Cheshire and Lancashire, but also provides property survey and management services. Following a period of losses, the company began to fall into arrears with a number of creditors, despite ongoing financial support from the company’s shareholders. A creditors voluntary arrangement (CVA) proposal was presented as a solution for the business as a going concern, but this was rejected, which left the company with no choice but to consider an alternative insolvency procedure. Upon their appointment, the administrators arranged the pre-packaged sale of the business to a number of connected parties, safeguarding all 108 jobs. Leonard Curtis has now instructed CAPA to conduct a property audit on 11 sites across Miller Metcalfe. The instruction will involve a forensic analysis of all property outgoings across the audited sites. 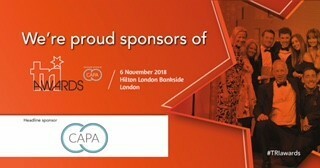 CAPA’s auditors will use bespoke software to uncover multiple elements such as errors in utility bills, or any overspend across the outlets, before recovering cash for the creditors of Miller Metcalfe.